Many of Terracon’s materials technicians came to their profession based on a fascination of how things are built. When it comes to items built in the past, the level of care and passion that went into building these simple items without the benefits of modern technology provides opportunities to see and admire the hand-crafted work. 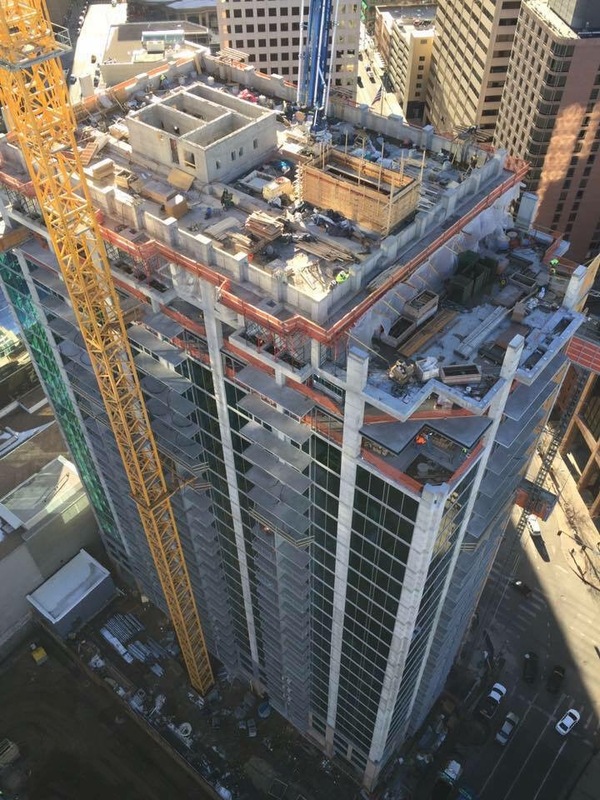 When the Terracon team was retained by Novare Group to begin excavations for SkyHouse, a new 26-story, 354-unit luxury apartment building in downtown Denver, an amazing discovery was made. Foundation elements from structures built in the 1880s and 1920s were found five-to-20-feet below the surface and still intact. The SkyHouse apartment building was being developed on top of what had been a parking lot since 1984. For the project, the team provided a full scope of materials testing, including soil, concrete, reinforcing steel, post tension, bolting, and welding observations. As paving was removed, rich remains of the two original buildings were uncovered. The first occupant of the space was the Hotel Metropole built in the 1880s. This luxury hotel was distinguished by its Richardsonian Romanesque revival west facade and grand and theatrical presence. The hotel was recognized as one of the two grand hotels in Denver at the turn of the century; the other, the Brown Palace Hotel, which sits across the street. In 1926, the Cosmopolitan Hotel was built and then annexed the Hotel Metropole next door. After its implosion in 1984, the site became a parking lot until the Novare Group purchased the property and began developing the new apartment building. As the team continued its excavation, columns as large as 48 inches in diameter and 15 feet long, some with two feet thick footings, were found. Along the perimeter of the excavation, there were concrete walls that still had the black and yellow paint striping marking basement/parking navigations for the hotels. Also found was some of the old foundations of the hotels and some original architectural brick facets. Both hotels featured unique and intricate facades no longer seen in modern architecture. The original facets were most likely crafted by creating and setting the molds for the casting, taking a lot of care into producing each one. Today, 100 years later, it would be quite rare to see that process in place because technology has made it obsolete. 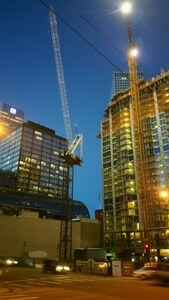 The uniqueness and originality of that era of building architecture adds even more interest and style to construction. Elaborate decorative and ornate bricks were identified which exhibited a level of skill and care common in that time period. A file cabinet drawer was also unearthed completely intact. It was most likely used for employee records and other items by hotel office management. With the client’s permission, the cabinet was donated to the Denver Historical Preservation Society. This project made way for the beautiful 21st Century SkyHouse apartment building while also yielding interesting historical artifacts. That discovery can’t help but honor the materials craftsman and the processes used. 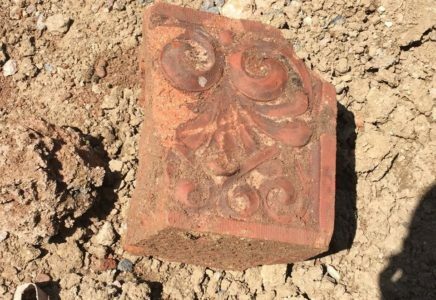 Preserving history while making way for modern technology is an amazing part of Terracon’s materials work. Terracon technicians are fortunate to see firsthand the dedication and attention to detail involved in historic project construction as part of modernization for the purpose of improved design and function. Mike Gessert is a technician in the materials department in the Denver office. He has 11 years of construction materials engineering testing and inspection experience. He is responsible for performing a variety of field and laboratory testing, observations, and inspections for reinforcing and post tension cables, soils, concrete, asphalt, fireproofing, and masonry materials.